Experience. Experience. EXPERIENCE. Its all about the user experience at events in today’s digital world. Digital Messaging with captivating content is a necessity but its still not enough. Take the next step to create engaging content for the audience: add an interactive element and truly set your event apart with an enhanced user experience. ABCOMRENTS has made a significant investment to bring interactive technology to the Rental & Staging Industry. When it comes to interactive touchscreens, ABCOMRENTS is the leading solutions provider of touch-screen rentals. We have one of the largest inventory of touch screen solutions for the Event Rental Industry. 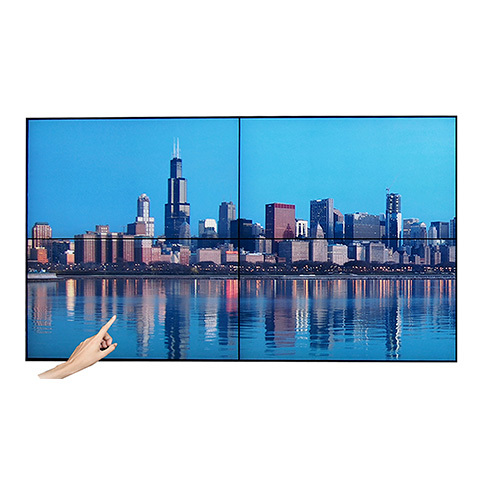 All sizes from 17″ touch to 100″ 10-Point Multi-Touch Displays, limitless quantities available! ABCOMRENTS was one of the first rental companies to bring touch video walls to the Rental & Staging Industry. We want attendees to live the experience and the best way is to do so is to implement a large scale touch video wall. Utilizing a 32-Point IR Based Touch Solution coupled with our NEC Ultra Narrow Video Wall rentals, you can truly bring interaction and calibration to your events. Many more custom configurations available in stock! Take your tabletop interactive screen to new heights with the Innovate Surface Table from ABCOMRENTS. 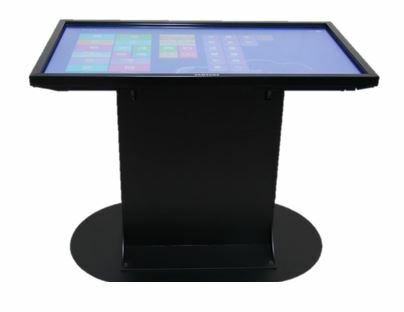 Outfitted with 46-inch or 55-inch touchscreens, table surfaces can be raised or lowered to accommodate users who are standing or lounging, and the display can be tilted up to 60 degrees to provide optimal viewing. Interactive screens are powered by an embedded quad-core processor that will run software created by the client, customized by ABCOMRENTS, or purchased as an out-of-the-box program. The screen can support up to 10 users touching anywhere on the display at once. Tables, which are crafted of aluminum and finished in black powder coat, are available for rent and can be integrated with larger nearby screens using an HDMI cable for added versatility. Engage your audience with an interactive kiosk solution from ABCOMRENTS! 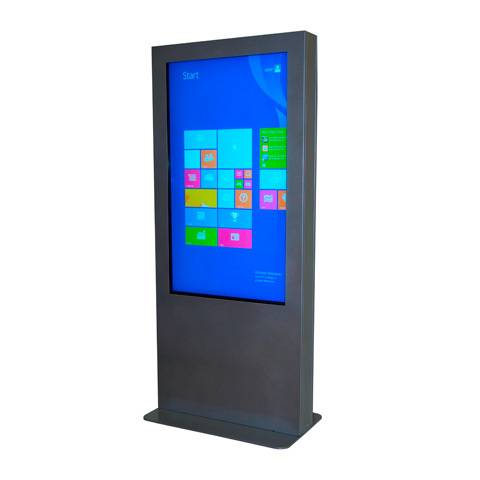 With its sleek design accentuating the 55” Multi-Touch LED display, this is one kiosk that is sure to stop the passerby. With optional single sided or double sided kiosks, it has an integrated Dual-Core I5 Processor, Windows 8 and built-in wireless capabilities. Your audience can interact using up to 6 simultaneous touch points. 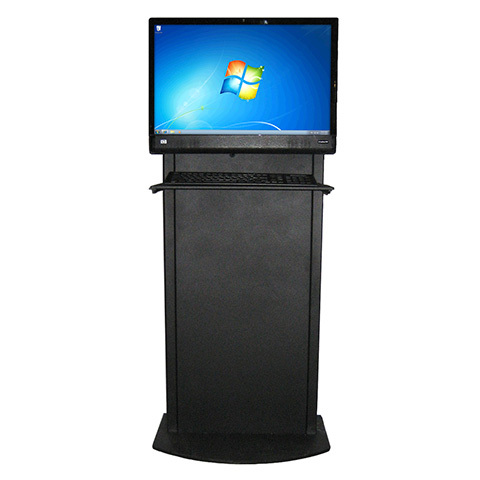 Rent with confidence and bring your event to life with this modern kiosk today. Custom Developed by our product development team, our walk-up informational kiosk is fully brand-able and capable of running any Windows application. It runs off a 23″ HP Touch Smart all-in-one, 4th generation I7 Processor with built-in wireless and optional keyboard/shelf for the average user. This kiosk is the perfect solution for all event applications. We’ve Got More! The solutions listed here are only a few of our interactive touch solutions. Reach out to an Interactive Touch Solutions expert today to inquire! Contact a Technical Account Executive for our Interactive Touch Screen Solutions at your next event!